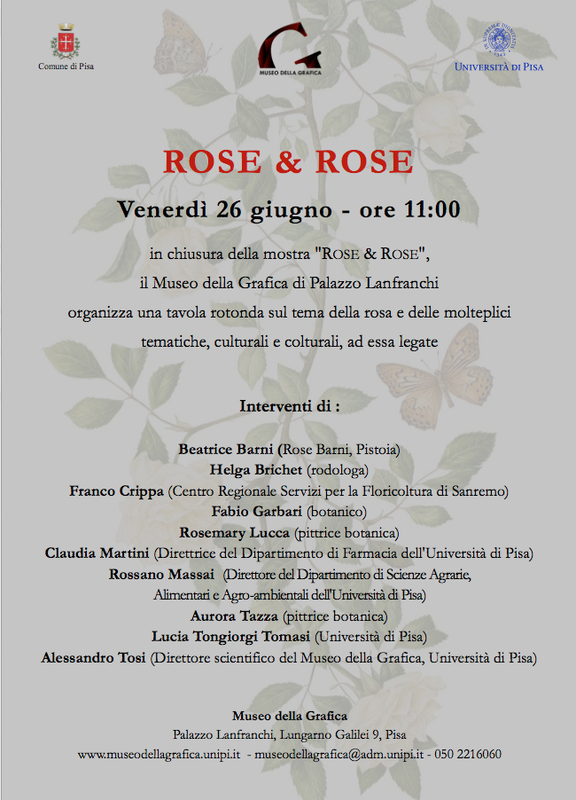 The Museum Of Graphic Arts in Palazzo Lanfranchi in Pisa in collaboration with the University if Pisa organised a small but delightful show dedicated to Roses , called , quite properly, “Rose & Rose” which ran from May 18-June 28, 2015 . Opening with a brief history of rose illustration accompanied by important antique herbariums in the collections of the Aboca Museum and the University of Pisa, the show then exhibited several rose paintings and the new rose studies by the very talented botanical painter Aurora Tazza from Roma, who now specialises in modern italian rose hybrids. (Aurora has collaborated for many years with the scientific community of the University of Pisa). The exhibit then continued with the complete works of my rose paintings, which are primarily portraits of antique roses, many inspired by poems dedicated to roses. The evening of May 18th, the atmosphere of the inauguration created a lively evening in the Museum (open till midnight), where the guests were entertained with a repertoire of live music, poetry readings and songs dedicated to the Rose, before being accompanied through the exhibit. 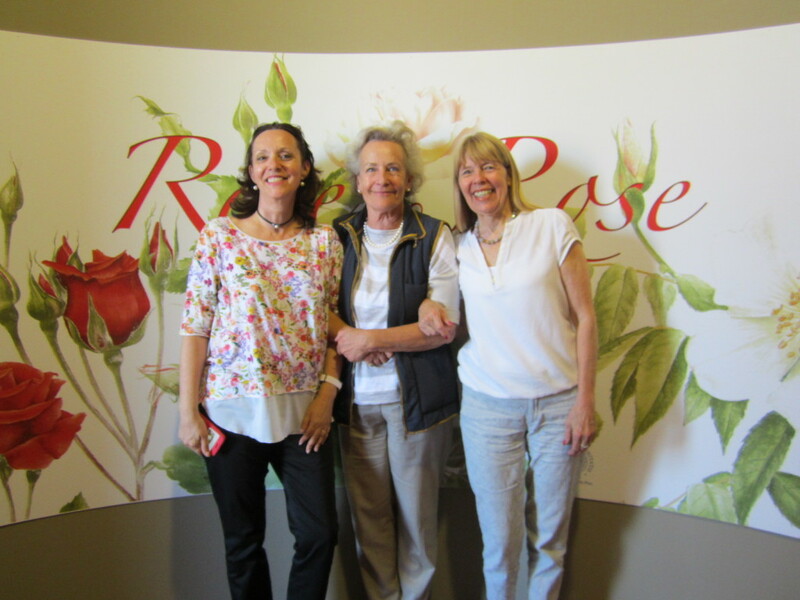 The show ended in June, with an enthusiastic conference where rose lovers, rose breeders and rose scientists campared notes and shared information about this incredible flower which creates an air of excitement wherever people gather to discuss it ! Many thanks to the Museum of Graphic Arts for a truely wonderful event !